The Growing Pains Of Flexibility: Is The Continuing Drive To Replace Long-Term Assignments With Permanent Transfers Taking Its Toll On HR And The Employee? What Service Model Should You Implement? A Board Game Or A Puzzle? Immigration Post Brexit - Will There Be An Increase In Commuter Assignments? What Can GM Technology Offer HR Business Partners? Is It All About Compliance? Should Global Mobility Professionals Be More Business Minded? 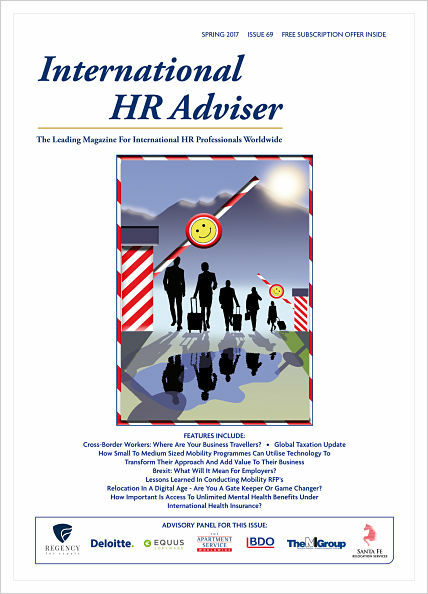 The Global HR Mindset - Do You Have What It Takes? Is Your HR Department GDPR Compliant? Global Mobility Education, One Size Does Not Fit All! Are You Walking A Tightrope? The Five Career Challenges of the Global Mobility Manager - Dead End or Highway? So We Know It Is A Problem - So How Do You Implement A Programme To Manage Your Business Travellers? Global Mobility Function - Should Companies Invest A Little To Save A Lot? The RES Forum Annual Report 2017: Organisational Development And Talent Management - The Ingredients For Corporate Success? 2017 Global Mobility Survey - What Do Business Leaders And Mobility Professionals Have In Common? Click the title to share or download the article. 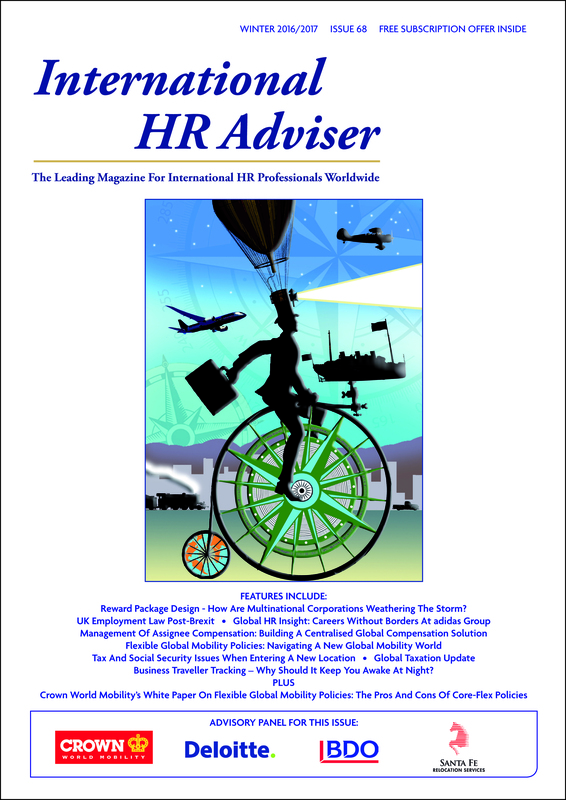 International HR Strategy: Brexit - What Will It Mean For Employers? Relocation In A Digital Age - Are You A Gate-Keeper Or A Game-Changer? Cross-Border Workers - Where Are Your Business Travellers? 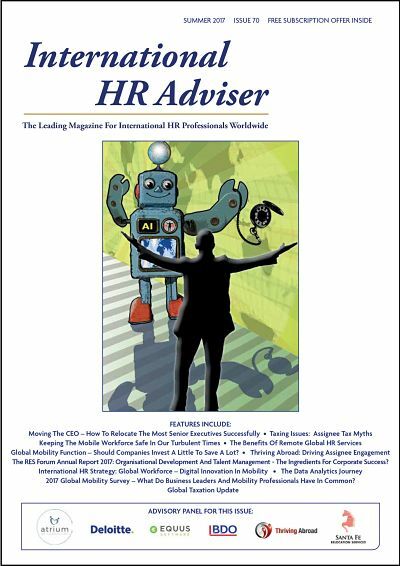 Success Leaves Clues: Can HR's Past Elevate Global Mobility's Future? How Important Is Access To Unlimited Mental Health Benefits Under International Health Insurance? Women In Leadership: Can A Woman Run An Enterprise As Successfully As A Man? How Are Multinational Corporations Weathering The Storm? Why Should It Keep You Awake At Night? Does Diversity And Inclusion Play A Part In The Ever Changing Global Mobility Platform? Key Challenges In HR In Europe - What Are Yours And How Do You Tackle Them? Global Mobility Update: "Build A Bridge And Get Over It..."
Uber-Mobility Is The New Catchphrase In Global Mobility - But Are The Apps And Robots Here To Stay? Gender Diversity And International Assignments - Still A Raw Deal For Women? Does Your Exchange Rate Policy Respond To Your Expatriates' Needs? Mobility Is A People Business - Do You Care? : Show-Me-The-Money! International Assignments - Get It Right, You Have Everything To Gain! Man Went To The Moon in 1969. 46 Years Later What Technological Advances Have Driven The Global Mobility Industry Forward? 2015 Global Mobility Survey: Time For Global Mobility To Demonstrate Its Value To The Business? The Changing Role Of Global Mobility - Strategic Or Supporting Function? Is Your Business One Of The UK's 29,000 Sponsor Licence Holders? How Is The Private 'Home Stay' Offering Relevant To The Corporate & Relocation Market? 2015 - The Year Of The Business Traveller? Global Employment Companies: Just A Current Trend Or The Long-Term Solution? Cross-Border Restrictive Covenants - Are They Worth The Paper They Are Written On? Employee Transfers In Acquisitions And Outsourcing: Is It All About The ARD? Working Time In Europe - How Is It Defined And Is There A Growing Trend To Reduce It? Are You Playing For Keeps? What Is The Future Of The Serviced Apartment & Corporate Housing Industry? What Are The Correct Limits For A Relocation Policy? Paul Coleman, TERN Financial Group Inc.
Organisational Structures Where Do The Dotted Lines Go? Employee Engagement - Do You Know The Top Three Issues Affecting Employee Engagement?